Description: Southern Borneo. Sea chart. Coloured. Description: Important map of Borneo based on Valentyn's observations during his journey to the Orient. Description: Northern Borneo. Highly detailed map of the areas of Sarawak and Sambas, using the findings of Belcher u. Williams. Original Colour. Description: North Borneo with an inset of Sarawak. Printed colour. 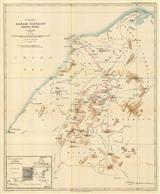 Description: British North Borneo, compiled from the surveys and explorations of F.X. Witti, W.B. Pryer, F. Hatton, H.J. Walker, and D.D. Daly. Includes Brunei. Printed colour. 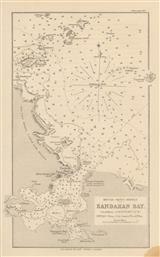 Description: Detailed sea chart of Sandakan Bay and the Sulu Sea in British North Borneo. Description: Brunei and Sarawak in Northwestern Borneo, by Charles Hose. Places where natural history collections have been made are underlined. Printed colour. Description: Borneo, mapping the colonial possessions of the British. Brunei is separated with printed colour. 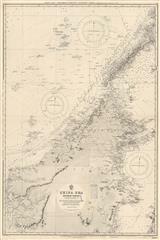 Description: Vintage survey map of Sarawak and Brunei. Published by the Directorate of Colonial Surveys and printed by the War Office.